"Home is not a place…it’s a feeling"
With private yoga classes you’ll focus on your goals and get personalized instruction based on your health, body type and lifestyle and in the comfort of your private home. You will get a one hour class or if you prefer to go deep in one specific exercise a one and a half hour class. Dive deeper into the practice of yoga in your vacation and focus on fine-tuning alignment and developing a keener awareness of both the body and the breath. Finally I find the time to describe the wonderful experience my sister and I had at Eden Beach Hotel joining Elisabettas daily yoga lessons. She had a huge impact on our wellbeing and relaxation during our stay and we are really happy that we had the possibility to get to know her and the unique style of yoga sensibile. In the last years I have tried different yoga styles and got to know a couple of teachers. But none of them was as precise with both her hands and words as Elisabetta was. I thought she was a physiotherapist because of the fact that she gave very specific information about anatomy and functional kinetics and because of the way she worked with hands-on to optimize the posture of each one of us. Besides her professional competence she is a lovely warm-hearted and humorous person with a very pleasant voice. I can highly recommend attending her classes even when you have pain or physical impairments. Thank you Elisabetta and hope to see you again! "Compassionate soul with precise instruction for a deeper safer asana practice... enjoyed a calming yet invigorating skillful sequence (for a mixed class) in a wonderful soothing space surrounded by ocean sound. Magically Restoratve. Namaste." Elisabetta is an exceptional yoga teacher! Her detailed cueing and thorough instruction have made me aware of parts of my body I didn't even realize I had! The Yoga Sensibile style is focused on achieving maximum results with proper form. 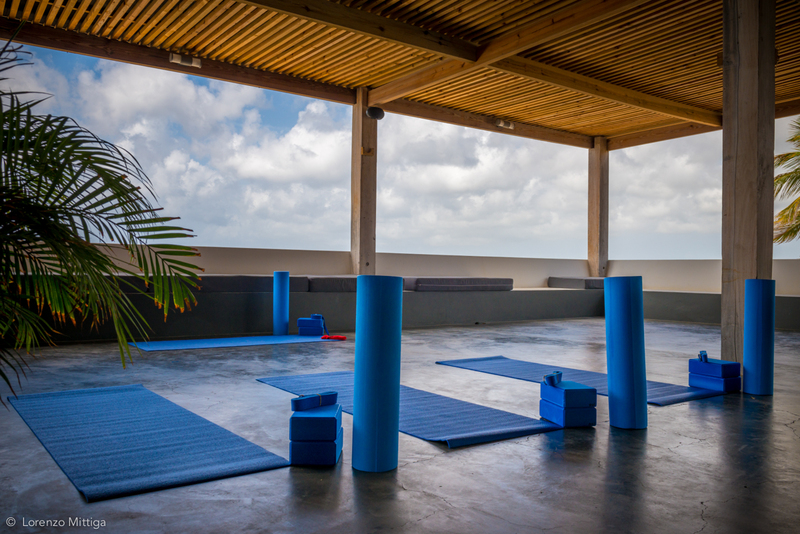 I can't wait to return to Elisabetta's classes every time I visit Bonaire! Highly recommend Yoga Sensibile with Elisabetta! Yoga Sensibile to me means relaxation. Elisabetta the teacher gives a lot of attention to the individual person and your posture. I have been following her classes for 4 years now. I really recommand this form of yoga to anyone. You will get more aware of your body and mind. Thank you for everything Elisabetta! Looking for the perfect escape from your daily life and want to take time to work on yourself?